All is not well with Gorkha community residing in the state of Assam. 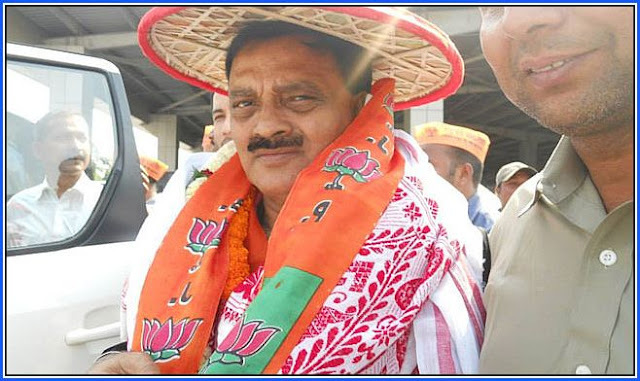 While a section of the community are perturbed after sitting Tezpur MP and veteran BJP leader from Gorkha community, Ram Prasad Sarmah was denied ticket, the Udalguri Chapter of All Assam Gorkha Students’ Union (AAGSU) alleged that the ruling BJP and BPF are not serious about the issues plaguing the Gorkha community in the State and have been depriving it in all fronts including political and land rights. The students’ body is also dismayed over the fact that not even a single person from the community was offered ticket by the saffron party. A press communique issued by the students’ organization after its executive meeting held on Wednesday at AAGSU office at Udalguri town stated that if the political parties continued to humiliate the community in this way, the Gorkhas of Assam would give a befitting reply to the nefarious designs of the saffron party leaders. The press release signed by Somraj Sonari and Sanjiv Khatiworah, president and general secretary respectively of the students’ organization said that the BJP would sense the deprivation this time in the forthcoming general elections.